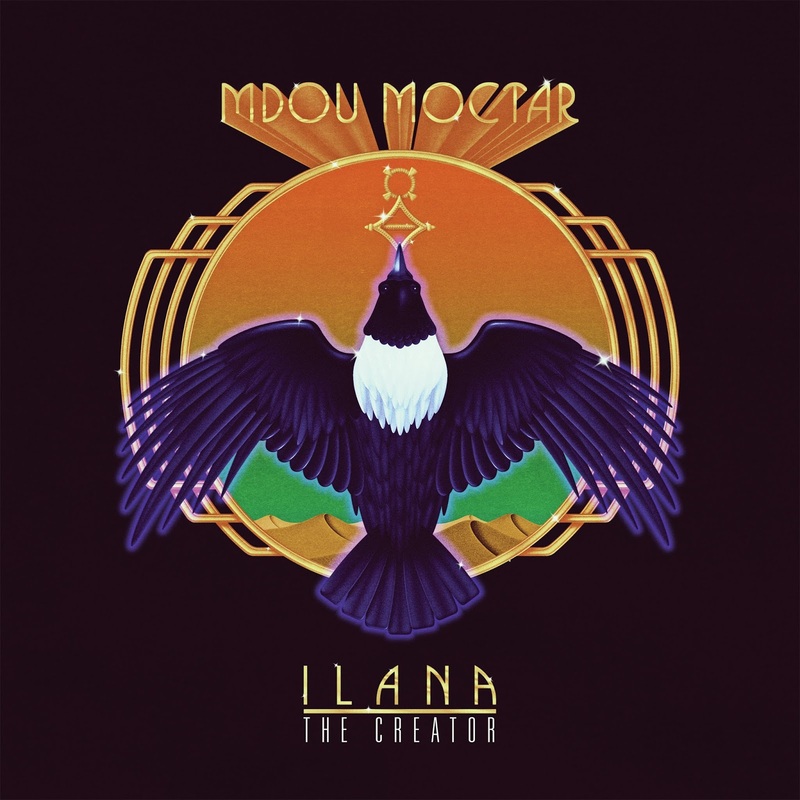 Here’s the album I, and a lot of Moctar’s fans, have been waiting for him to make. The left-handed guitarist from Agadez, Niger has worn a path through Europe and the USA in the last several years, leaving audiences with mouths agape at his technique and energy and at the forward propulsion of his band. For the first time, Moctar has made a studio recording that reflects his dynamic live sets. Start with the first single, track 1, of which I said in a previous review “This, folks, is rock ‘n’ roll.” And so is 2 – after a spacy intro, it sidles into a midtempo groove, then ends with a rave-up as dynamic as 1. 6 is another barn-burner, mostly a long, Hendrix-fried Moctar guitar solo; he works in some twangy spaghetti-western riffs as well. And the title track (8), which talks about the suffering of women in the Sahara while referencing France’s exploitation of Nigerien uranium, is maybe the heaviest of them all. 4, set in more of a traditional takamba rhythm, is Moctar playing (and well) in the style of his forefathers, Tinariwen. I’m tired of repeating that the world’s best rock ‘n’ roll is currently being made in the Sahara Desert, but here’s another album that proves it. Not to be missed.